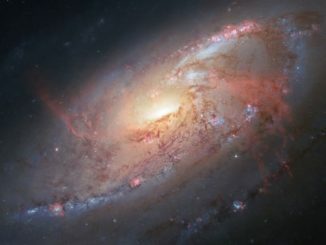 Stunning views of M106, aka NGC 4258, show the nearby galaxy as seen by the Hubble Space Telescope combined with data provided by two amateur astronomers. 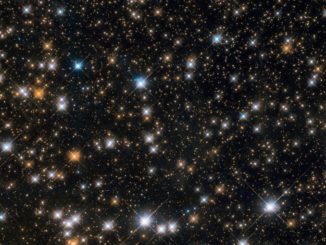 An additional view from Hubble shows the galaxy’s subtle ultraviolet glow. 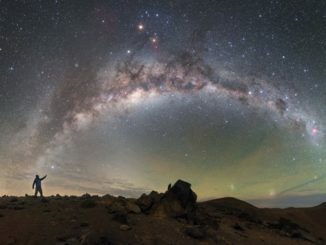 Data from ESA’s Gaia spacecraft and NASA’s Hubble Space Telescope show the Milky Way galaxy tips the scales at around 1.5 trillion solar masses. 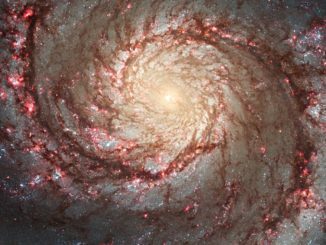 The Whirlpool Galaxy, also known as M51, is familiar to legions of amateur astronomers as a relatively faint face-on spiral with a smaller companion galaxy, but the Hubble Space Telescope reveals the Whirlpool in all its splendour, a magnificent spiral studded with countless clusters and dust lanes. 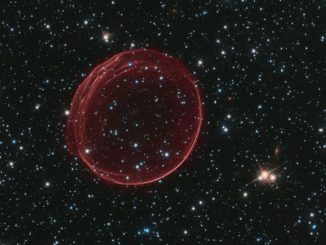 A supernova remnant in the Large Magellanic cloud, imaged by the Hubble Space Telescope in 2006, shows the spectacular aftermath of a supernova blast, generating a cloud of debris expanding at 18 million kilometres per hour (11 million mph). 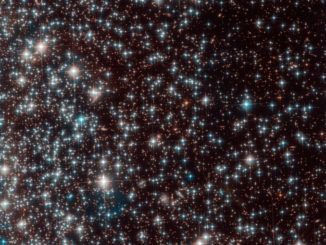 Astronomers using the Hubble Space Telescope to determine the age of a globular cluster stumbled on a previously unknown, relatively nearby dwarf galaxy. 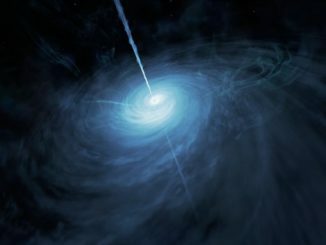 The Hubble Space Telescope has spotted the brightest quasar ever seen in the early universe, an active galactic nucleus shining 11 trillion times brighter than the Sun. 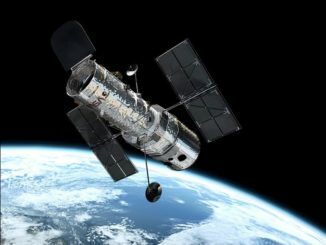 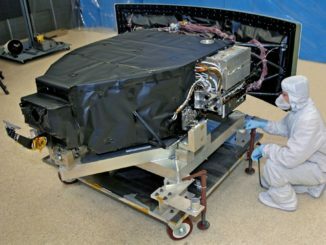 Engineers are optimistic they can safely return the Wide Field Camera 3 aboard the Hubble Space Telescope to normal operation after a fault 8 January. 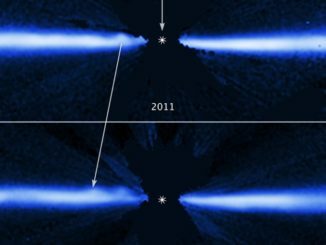 Observations by the Hubble Space Telescope and ESO’s Very Large Telescope indicate processes that may limit the habitability of planets orbiting dwarf stars.